After being formed, plant cells increase in volume during the cell expansion process in which the cell wall plays a prominent role. Cell wall extensibility, a crucial characteristic that defines plant cell growth rate at the biophysical level, is currently estimated by the use of several indirect techniques. One of them, the creep method, measures cell wall extension under a constant load over time in the principal direction of cell and organ growth and mimics the action of turgor on growing cell walls better than other techniques. This review provides the last technical advances and novel metrics of the creep method predicting cell wall extensibility. The potential of the creep method to uncover new cell wall-loosening/tightening proteins is discussed. 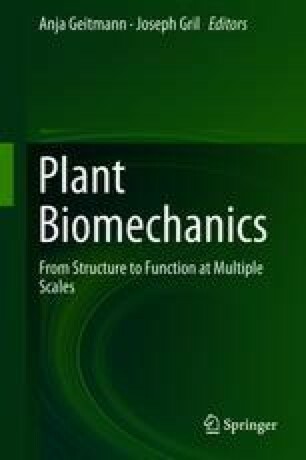 The authors acknowledge Saint Petersburg State University for the research grant 1.40.492.2017, RFBR for the grant No 15-04-04075, the University of Antwerp, the Research Foundation-Flanders (FWO; grants G039815 N, G065613 N, G.0.602.11.N.10 and 1.5.091.11.N.00).